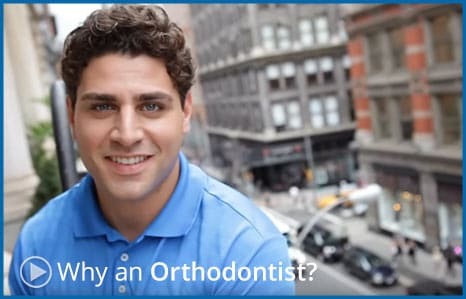 Looking for an Orthodontist Near Me in Mattoon, Decatur and Effingham, IL? Dr. Michael Hage and his team at Hage Orthodontics work together to provide quality orthodontic care and create a positive experience for our patients and their families. It is our mission to create confident, healthy smiles through exceptional orthodontic care for our patients, whom we consider family. Our staff is a winning team who are dedicated to your absolute satisfaction. Each of us have had orthodontic treatment and will work with you to achieve your beautiful smile. Our practice utilizes the most advanced diagnostic and treatment techniques available today with braces, Invisalign, and Invisalign Teen, the “braceless” alternative to straight teeth. We offer multiple no interest financing options to meet the needs of your family and budget. Your time is valuable, and we respect that. We offer convenient office hours, extensive use of modern technology for fast, effective treatment, and our team is always available when you have questions or need assistance. Dr. Hage's three practice locations in Mattoon, Decatur, and Effingham allow us to serve the surrounding communities with first-rate service. We are here when and where you need us! When you’re ready to take the next step toward orthodontic treatment, please contact Hage Orthodontics for your FREE orthodontic consultation and get ready to start smiling! It is our privilege to serve the surrounding areas of Mount Zion, Sullivan, Newton, Flora, Arcola, Shelbyville and Taylorville! Dr. Hage and his staff have been meticulous and professional. They are always respectful, always have a smile on their face, and are genuinely concerned about the way things turn out. Every time I walk into Dr. Hage’s office everyone greets me with a smile. I feel welcomed with each visit from the staff. They’re all gentle and caring people. I feel at ease when I come to my appointments. I am looking forward to my new smile because I know the staff has done their greatest to provide perfection for me! Our seven children have been seeing Dr. Hage for the past 20 years. He has provided our children with top quality orthodontics that have been consistently complimented on by others. His staff is top notch. They always have worked with us in making sure our kids got their appointments as needed and worked around their busy schedules. Being a senior citizen, I am not the typical orthodontic patient. I was having a problem with my bite and two teeth were turning so I scheduled a consultation with Dr. Hage. He explained possible options and treatments with me. I appreciated that Dr. Hage took the time to answer all my questions and did not put any pressure on me for a decision. I couldn’t be happier with my smile. It amazes me that in such a short amount of time my teeth could look so pretty! I never thought my teeth would ever look this great. Dr. Hage and his staff exceeded my expectations. Not only have each of them provided me with a great experience, but both my children as well. Our orthodontic journey began with my daughter, then my son and lastly me. At one time all three of us were in braces and on the road to a perfect smile at the same time.